This is our fourth and final instalment of our travel series. I hope you have enjoyed the other articles and they will be a helpful resource for travelling with your children in the future. This last post was a tricky topic as it’s often much easier to spend while you are away than save. This is why I believe the below information on how to save money when travelling is invaluable! One of the reasons why people don’t vacation often is the cost of travelling itself. Accommodation, meals, activities, transport all add up, and if you are travelling as a family, the cost can be excessive. This gave me the idea, what if you had insider knowledge on how to save money on your next holiday? I thought this would be helpful to many, so I reached out to the travelling community for their expertise on the subject. The below tips and advice have been given to me by top travelling families – and I have added a few as well. They are sharing their knowledge to help you save money while you are travelling; as the more money you save can go towards other needs or even your next vacation. Who doesn’t like the sound of that? Request a better rate, although Expedia, Booking.com and Trivago all offer competitive rates – give the hotel a call and see if they can better it. Worse case you get a no and still earn points with any of the above. I found Expedia to offer the best deals when booking packages. And Booking.com give great loyalty discounts. Become a member and receive better deals. A great way to spend less money when travelling with a family is to stay in apartments rather than at hotels. Having some extra bedrooms and a kitchen is a big plus too. Join the hotel’s loyalty program. Accor Hotels has Accor Plus where you can stay for considerably less, and receive up to 50% off dining all year round. We are always conscious of keeping costs down when we travel. Depending on where we are going and where we are staying one of the major factors for us is the price of accommodation. As our kids are not yet school age, we often travel out of season away from the busier periods like summer and school holidays. We often choose a simple/smaller room option when booking a hotel as we find we spend most of our time outside exploring the destination anyway. Right now, as we are living in a caravan full time we often save money on accommodation/camping fees by staying in free camps which makes a big difference. We also steer clear of tours or activities unless it is a ‘must-do’ for the area. Keep an eye out for accommodation specials where you receive a discount. E.g. Stay for 3 nights, pay for 2. These type of special offers reward the customer with normally a very good discounted rate by booking a longer stay. Look for hotels with a kitchenette. This way you can buy groceries, and you don’t have to eat out. Some hotels also have laundry facilities in the room or on the premises, which in return will save you from dry cleaning expenses. I recently discovered booking hotels early particularly over 90 days before your stay can often save you money. We booked our hotel for New York over New Years in February for $300USD per night, that same hotel is now (nine months later) over $500USD per night. I do realise the price is still steep, but I had expected to pay much more than $2100USD for seven nights in a 4-star hotel in New York City over the holiday season. I have also found that booking bucket list hotels mid-week much cheaper than booking on weekends. If there is a specific hotel, you would love to stay at, book midweek and save the cheaper hotels for the weekend when rack rates are higher. One last tip, if there are specific hotels that are in the CBD and are popular with business travellers, book that hotel on weekends when business travellers aren’t there, you will likely get a cheaper rate. We love to use Airbnb so that we have a normal home set-up and can cook dinner instead of eating out. That saves us so much on our travels. Not to mention having a home base without a bar, restaurant, pool bar, shopping mall attached can save you spending unnecessarily. What I particularly like about Airbnb is that you pay when you book which helps spread the cost out. Have you thought about house sitting or house swapping? Aussie House Swap hosts Australia’s largest home exchange community. Join by creating your house listing and then when you want to travel search through the listings and contact the homeowner to discuss a swap. If you would like to contact a member or list your home so others can contact you, then you need to become a registered member, and membership fees apply. Research your location, for transportation reasons, ensure you are close to facilities specific to you. Travelling from your accommodation to areas you plan to visit without a car can add a pricey cost to your activities. Buy an inflatable mattress, pump, and a sheet set. We spent $25 on this set up which saved us $1000’s. Instead of paying for two rooms we used our bed. Not one hotel had an issue with this set up (but it would be best to check their regulations). We were using all our bedding, and there is always a spare pillow in a room. The set up was comfortable for the kids, and they took it in turns to have their turn on the blow-up. If you are staying in a Hotel, don’t open the mini bar and double check the food and beverage items in the room before opening them. For instance, bottles of water left on the bedside table or desk may be part of the mini bar and before you know it you have purchased a $6 bottle of water. Either ask for it to be removed so you can stock it with some of your items or just remove the items yourself. We head to the local grocery shop and stock up on fresh produce for meals and snacks. My three children are constantly hungry and always asking for snacks, so buying like this saves us a small fortune. We find the best way to save money when travelling is to picnic during the day. Kids love it, and they also eat healthier. On top of that, you can picnic anywhere and have more time for sightseeing rather than spend it looking for a restaurant. Needless to say, it costs much less too. We often nab the “with breakfast room” at the Hotel. Breakfast is quickly becoming an expensive trend, so I find value in a buffet hotel breakfast, my husband is a big eater, here I can fill up, Riley can explore a few food options, and I grab some fruit and have my double coffee at a reasonable price. The other major cost when travelling with our mini blondies Marli and Ziggy is food!! Just like most busy kids they are ALWAYS hungry!!! So I pack loads of snacks to keep them happy and to avoid having to buy food while we are out. I keep things like dry cereal, baked beans and cans of tuna in our hotel room so when the kids wake early or are hungry between meals I can offer them something filling that is not full of sugar like a lot of travel snacks. If staying at a hotel with a breakfast bar, I always travel with some mini zip-lock bags so I can grab a few extra pieces of fruit, bread or things like plain pancakes from the buffet so I can offer them to the kids later. Pack lightweight lunchboxes, drink bottles and a small backpack in your suitcase. Use them to pack a lunch and snacks when going out for the day. Buying food and water each day when you are travelling can be expensive. We love to eat out but will nearly always have breakfast where we are staying. This is for many reasons A. The kids can’t wait, and dining in saves time B. Saves money C. Easy and convenient. When travelling locally, I will bring a toaster, a loaf of bread and peanut butter and there’s breakfast. Bananas and apples to top it off; and long-life milk and a box of cereal with plastic cutlery and spoons. We try to have lunch on the fly (like grabbing a sandwich and taking a walk) rather than sitting down in a restaurant. It’s a cheaper option, and you see more. Bring your alcohol from home with you when travelling to resorts where you are basically “stuck” with no options to buy elsewhere. We bring refillable water bottles and stock up on fruit and snacks when we arrive to pack with us each day, so we’ve always got something on hand to feed hungry kids. This saves us threefold (we’re not as tempted to buy expensive treats out, we’ve got food on us no matter how remote we are, and it keeps the kids filled up on healthier options). Then we can enjoy the occasional splurge on really quality authentic or must-try dining experiences at a destination with the money we’ve saved by eliminating convenience buys. When we do eat out as a treat, we tend to head where the locals go. Ask your Airbnb host or even the people who serve you at the grocery store where is good! One of the best meals at a destination was when our Airbnb host booked us their usual table at their favourite local hangout. If you want to eat out, aim for lunch – loads of restaurants offer lunch deals almost the same as the dinner menu at half the price. This is always the case in Tokyo and Europe. Buy a city sightseeing pass for public transport. In large cities like London, it can be smart to buy a week-long pass, so you’re saving on taxis’ and subways. Walk whenever you can, not only will it allow you to see more and experience more of the place you are visiting but it will save on public transport, parking fees, and petrol. Be smart about what mode of transport you use. Are you weighing up hiring a car or using public transport? Before you decide on which method suits you, do the maths and weigh up the pros and cons involved for each. For instance: Car rental costs – daily rental cost, parking, petrol. Pros – convenient, no set times. Public transport costs – fee per person timed by how many trips will be required. Con – you need to rely on them being on time, and you need to follow the schedule. Are you flexible with when you want to travel? Mid-week, in particular, Tuesday and Wednesday are predominately the cheapest days to fly. Parking can be expensive! Looking for parking before you head out is worth it, loads of stores, hotels, restaurants offer validated parking. Do you enjoy road trips? Transfercar allows budget-conscious travellers to travel for free by making one-way trips to return cars to car rental operators. We find the most success using google.com/flights. Always search for one person and increase afterwards. You can include five departure and arrival destinations. Hiring a car, rather than using taxis and public transport can make life much easier when travelling with children and all their accompanying paraphernalia – although, of course, this can become expensive too. 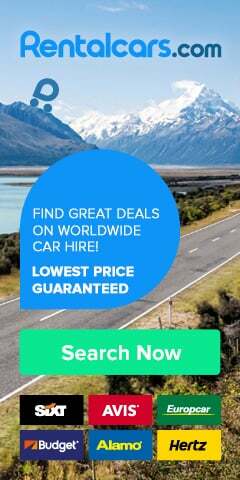 To try and keep the costs down, we always try to avoid buying add-ons from the car hire companies. When possible, we bring our car seats (even if the airline charges for bringing them onboard, this often is far less than the cost of renting them), and we bring our satnav or use the Google maps app on our smartphone, rather than renting a satnav from the car hire company. It is possible to download specific maps from Google maps in advance, so they will then work offline and won’t use your phone’s data. On top of this, we avoid purchasing the car hire company’s expensive “super CDW” insurance, which is often sold when picking up the car to reduce the accident excess to zero but instead we buy a separate annual excess recovery policy from an insurance broker beforehand. This has always worked out as a better deal. We use Insurance 4 car hire, although other companies offer this service too. Just make sure you always check the small print for exclusions. Opt for an eco-car. We have found that picking up a SIM card is cheaper than adding a GPS. In Europe, the GPS was 7 Euro a day, and a SIM card with data was 17 Euro and lasted our full four weeks. Have you tried Uber? Your alternative to a taxi and on all our experiences a faster service, less expensive and more reliable. Simply download the app on your phone, enter your pickup location and tap request. Your credit card or PayPal account is charged automatically, so you never need cash. For savings, once we’re on the ground, I like to work out a shortlist of all the free or outdoor things there are to enjoy at the destination beforehand and work our way through the list at our leisure. We tend to gravitate towards kid-friendly scenic hikes, water sports and art galleries (which are often free). We limit the amount of paid activities we do to things we couldn’t or wouldn’t do anywhere else, (like national park entrance fees at the Grand Canyon, or a boat trip on the Great Barrier Reef). Research ahead of time discounts for attractions and call in at information centres to see if there are any discount coupons. 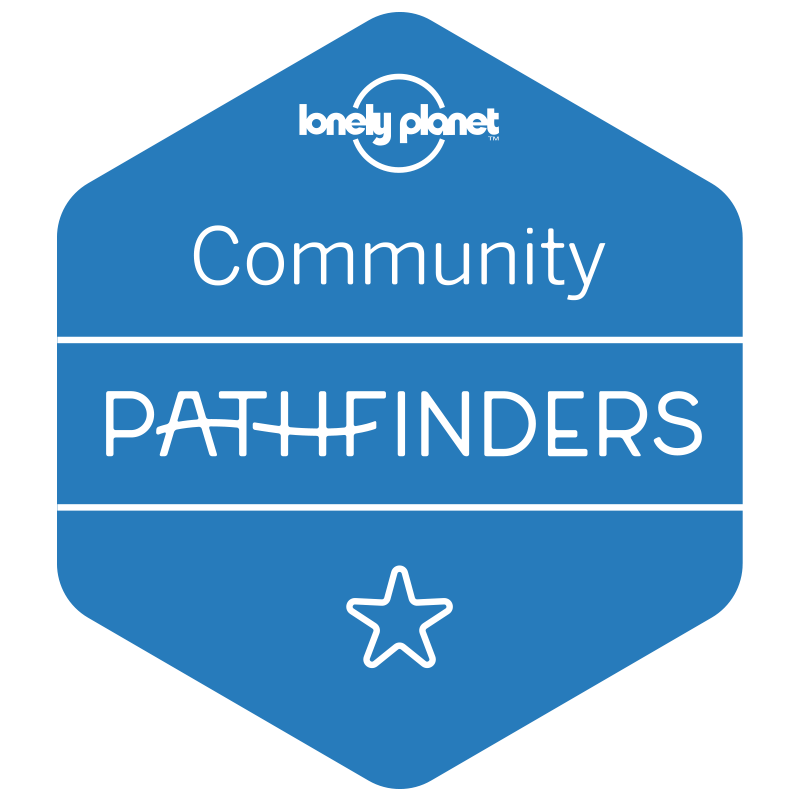 The Lonely Planet books and guides are helpful resources that give you a list of attractions to see, things to do and places to eat. We often go to sites (churches, castles, museums, tourist attractions) to take pictures outside and check it off our list but not necessarily pay an entrance fee to go in. I scour the internet for good deals on entry tickets. Websites such as Living Social and Groupon are two that offer discounts on attractions and food. The first thing I recommend to any family wanting to travel more is to get travel rewards credit cards. We’re very anti-debt, but putting our daily expenses on a credit card that gives us points to use towards plane tickets and hotels has saved us SO MUCH MONEY, it is worth all the extra work to track our expenses and pay it off each month. I recommend the Chase Sapphire Reserve card, which has flexible options for using your points, but also really good travel insurance built in (bonus savings)! Make sure you have a credit card that won’t charge foreign transaction fees. Check this with your financial institution before travelling. Another alternative is to consider obtaining a travel card. You can place as much cash on them as you wish, which in return helps you stick to your budget and they are normally accepted everywhere you can use a credit or debit card. Did you know most hotels charge a 1.5% or higher surcharge on credit cards? As your accommodation is a main component of travelling, it can add unnecessary costs to your end account. An alternative for accommodation is to ask them at the time of booking if you can pay via direct deposit before your arrival. Be open to visiting other places before you reach your destination. We have found that it can be cheaper to stop in one or more places along the way. For instance, to fly from New Zealand to Thailand, it is more cost effective to visit Bali and Kuala Lumpur along the way. You get cheaper airfare and get to see more sites…win-win! Weigh and measure your luggage. It’s so easy when you are returning home from your holiday with souvenirs that you may exceed your luggage limit. Avoid unnecessary flight costs by ensuring it is under the limit. When it comes to saving while travelling with kids, there are a few factors that affect our hip pocket. The biggest one is travelling offseason. If your children aren’t yet school age (or can manage time off either side of their regular school holidays), being flexible on dates can often halve your trip costs when you add up savings on flights, accommodation and the like. I hate dirty laundry in my bag, not to mention the sky-high prices for laundry services, so I buy laundry liquid – save a hotel service bill and do it like the old days in the bath. Try a staycation “a holiday spent in one’s home country rather than abroad, or one spent at home and involving day trips to local attractions.” Staying at home will save you on accommodation expenses, but by visiting local attractions, you will still have the sense of being a tourist in your city. Do you have any other money saving travel tips, if so we would love to hear them? What a brilliantly comprehensive list of ideas! Thank you for including us alongside all these great, travelling families. Thank you, Jenny! There were so many wonderful tips that I’m sure it will be a resource that families will find extremely useful when travelling. So many great tips! I have to admit that I learned a lot and also got quite some new good ideas for our trips. Thanks for including us as well. I also learned a great deal from the amazing travelling families who shared their travel knowledge with me. Thank you for contributing, Jurga! So many amazing tips! We will definitely be using some of these and coming back to your post in future as a reminder. Thansk! Thank you, Gemma. I’m pleased that you have found it helpful!